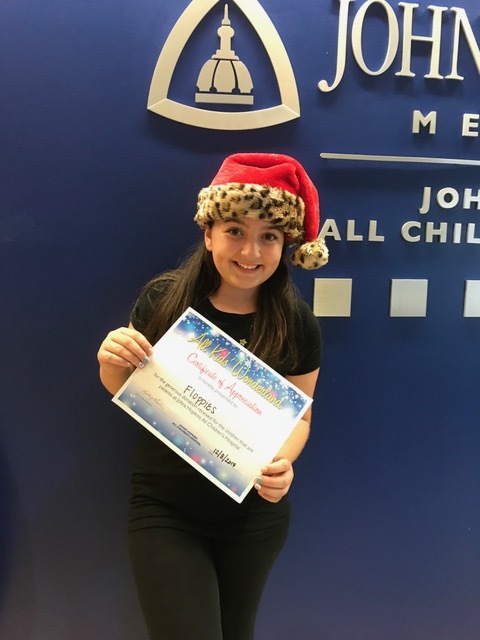 This December is looking Merry & “Extra” Bright at All Children’s Hospital due to one sweet and very talented young lady, named Michelina! 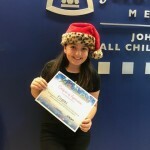 In November, Michelina was named The Watermark at Trinity’s Watermark Kid and was awarded a $1,000 check! 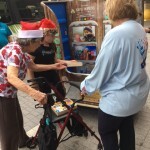 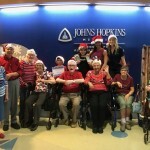 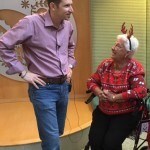 Residents at the community raised over $500 to donate to “Love Floppies” and in total Michelina raised over $2,200! 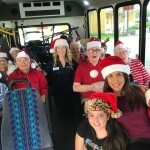 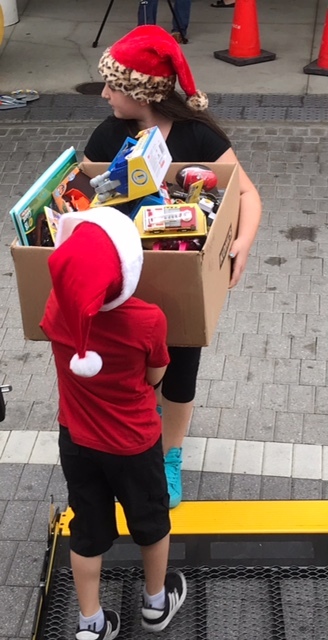 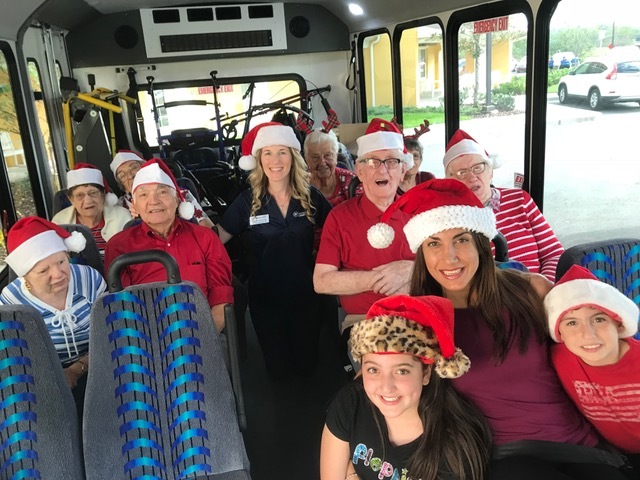 Last Friday, residents from The Watermark at Trinity accompanied Michelina, her brother Dominic, and their mother Lisa as they dropped off a bus full of toys to All Children’s Hospital! 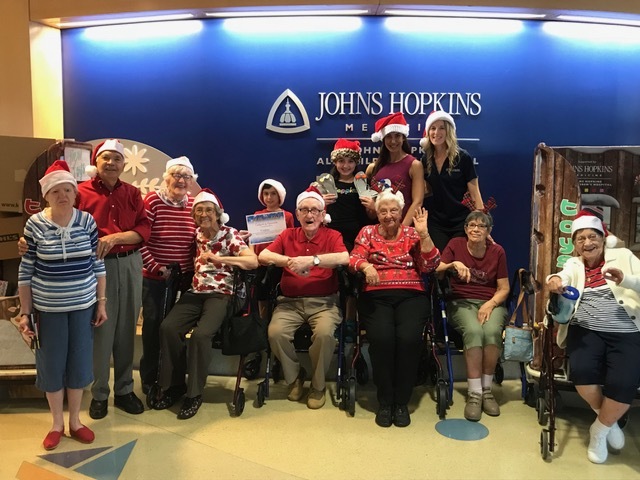 Residents were dressed in their holiday best with Santa Hats and Reindeer Antlers as they helped Michelina deliver all of these new toys to the hospital! 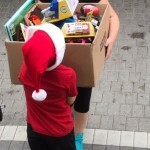 It was a very heart warming day for everyone involved. 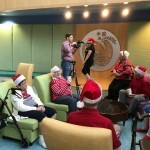 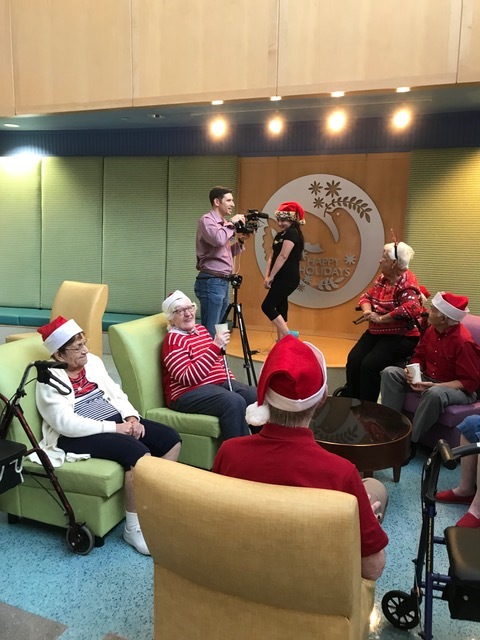 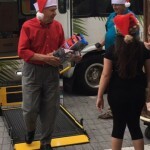 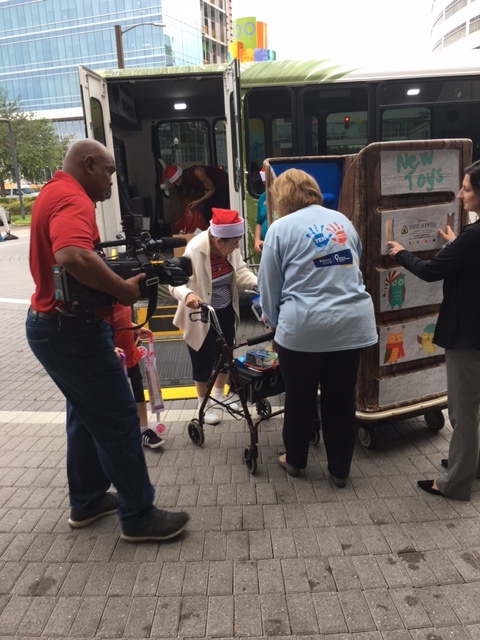 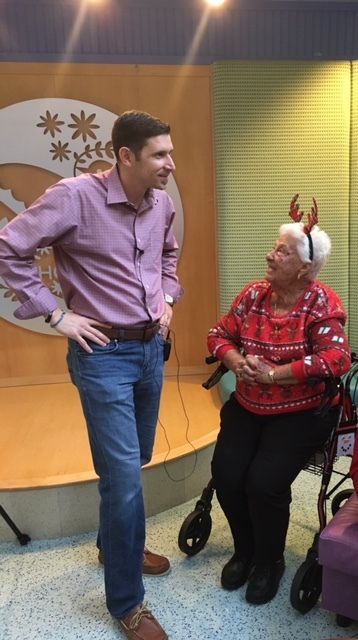 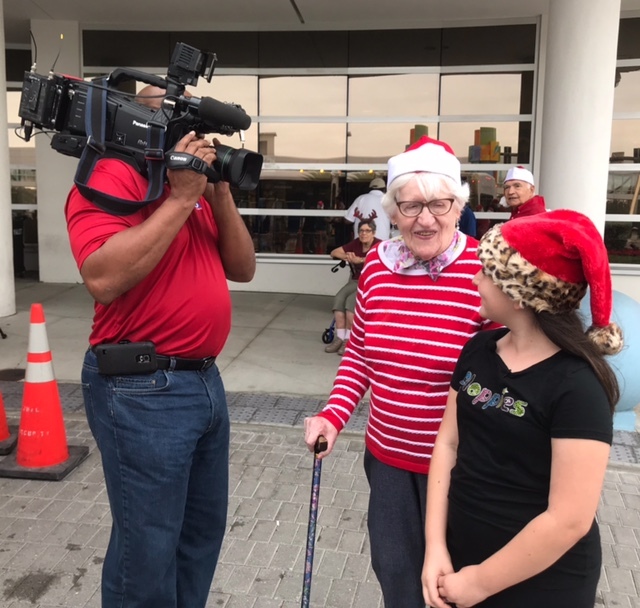 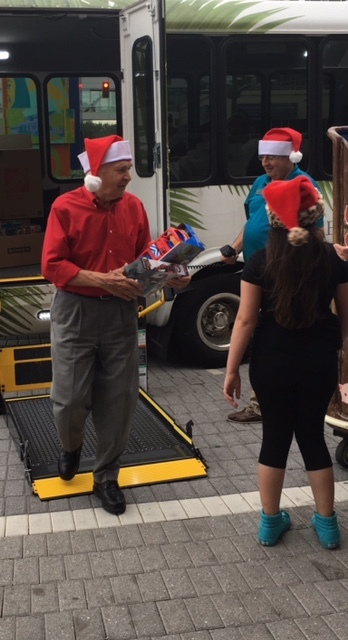 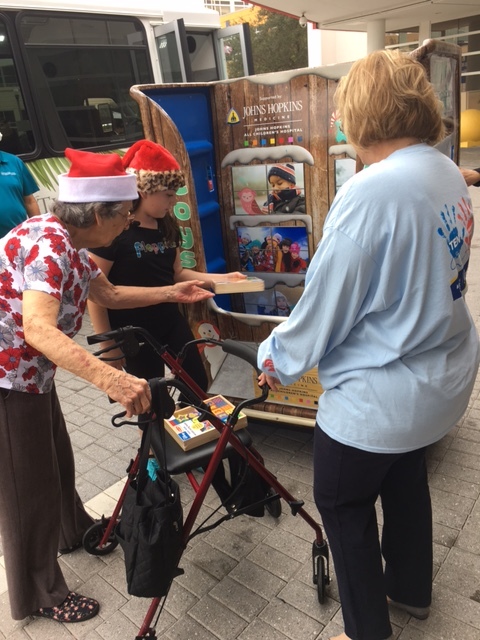 A big thank you to Bay News 9, Fox 13, and 10 News for sharing Michelina’s story and helping her spread holiday cheer to other children!